Clear View can provide a range of aluminium bi-folding doors, sliding doors and windows to all kinds of leisure centres. We understand that leisure centres need to look attractive as well as be highly functional spaces and our designers work with clients to ensure they choose the right products to meet each centre’s particular needs. Developers for leisure centres and sporting arenas choose Clear View because of our experience in the sector. 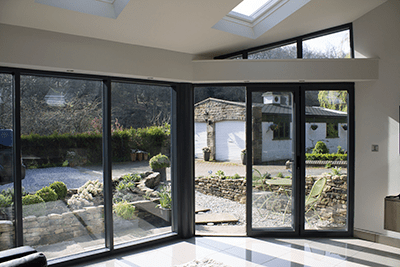 We have been providing doors and windows to customers for more than ten years so understand the importance of providing a high quality product and service within a tight time frame. Our expert teams work quickly and efficiently to ensure minimal disruption to leisure services during the installation phase. From our base in Huddersfield, Yorkshire, we can travel to leisure centres throughout the UK. 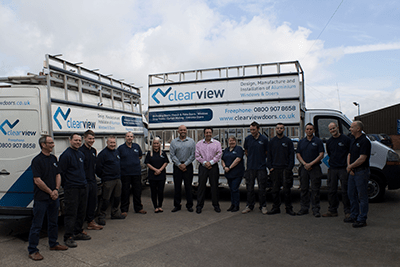 Our technicians will come to you to take measurements to ensure that doors and windows are manufactured to the exact specifications required. They will also be able to help you select the most appropriate design and configuration of panels and advise you on the different materials and finishes available. This means that the new windows or doors will not only look great, but could also enhance the security of the building as well as make the property more energy efficient too. If you would like more information about how bi-folding doors and aluminium framed windows can be used to enhance leisure centres please get in touch today on 0800 1357167.